PARK Chan-wook’s The Handmaiden vied for the Palme d’Or at the Cannes Film Festival earlier this month, and though the auteur may not have come away with a competition award this year, as opposed to his previous Grand Prix and Jury Prize wins Old Boy (2003) and Thirst (2009), respectively, his latest stylish head trip didn’t leave the Croisette empty-handed. Production designer RYU Seong-hee was awarded the Vulcan Award of the Technical Artist, an independent prize given for the best technical contribution to a film in Competition at Cannes. RYU, who has worked many times with PARK in the past, helping to create his signature patterned sets from Old Boy, as well as numerous other major Korean films, including BONG Joon-ho’s Memories Of Murder (2003), KIM Jee-woon’s A Bittersweet Life (2005) and more recently CHOI Dong-hoon’s Assassination (2015), is both the first Korean and first production designer to win the award. Awarded since 2003, though prior to that it was known as the Technical Grand Prize, the trophy has frequently gone to cinematographers, including Tom Stern for Mystic River (2003), Janusz Kamiński for The Diving Bell and the Butterfly (2007) and José Luis Alcaine for The Skin I Live in (2011). In previous years, sound designers, sound mixers and editors have also snatched the prize. 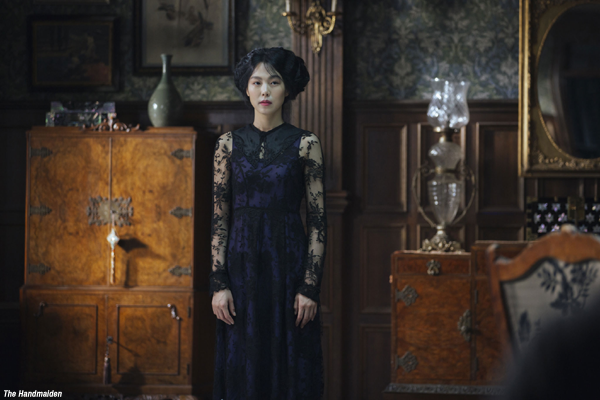 The Handmaiden was one of three Korean features in Cannes this year, joined by NA Hong-jin’s THE WAILING in Out of Competition and YEON Sang-ho’s TRAIN TO BUSAN in Midnight Screenings.